WESTPORT — Republicans hope to hold onto three of Westport’s four state legislative seats in the November elections amidst insurgent Democratic campaigns. “The Democrats have not done a good job running the finances of the state. The three Republicans have been fighting against the tax and spend policies of (Gov. Dannel P.) Malloy and the state legislature, which has been controlled by the Democrats for over 30 years,” Westport Republican Town Committee Vice-Chair Robert Bass said. Incumbent Republican state senators Sen. Tony Hwang, R-28, and Sen. Toni Boucher, R-26, and Rep. Gail Lavielle, R-143, have an edge in the November elections because of their distance from the current Democratic administration, Bass added. The Westport Democratic Town Committee leadership, headed by Chair Ellen Lautenberg, was equally optimistic about the Democratic’s slate of candidates. “The new candidates challenging Republican incumbents bring new dynamics and choices to their races,” Lautenberg said. “As certain issues have risen to the forefront nationally, the candidates will be focused on those same issues locally, like reducing gun violence and ensuring that CT does not go backwards with respect to things like access to healthcare and a woman’s right to choose. In addition, they will be thinking about new and creative ways to tackle our state’s fiscal issues and spur economic growth,” Lautenberg added. Westport has 6,634 registered Democrats and 4,348 Republicans, according to the latest data provided by the town’s Voter Registration Office on June 6. “As our only incumbent, Jonathan Steinberg has worked with colleagues across the aisle, including voting for the recent bipartisan state budget,” Lautenberg said. Steinberg, D-136, now serving his fourth term, was elected in 2010 to the 136th Assembly District, which includes most of Westport. A former marketing executive, Steinberg is a product of the Westport public schools and previously served on Westport’s Representative Town Meeting (RTM) starting in 2003. In addition to his Chairmanship of the Public Health Committee, Steinberg serves on the Energy & Technology, Transportation, and Insurance & Real Estate Committees and Co-Chairs the Bioscience Caucus. Bass criticized what he called Steinberg’s support of “tax and spend” policies and promoted the Republican challenger, political newcomer Greg Kraut who, up until a month ago, was unaffiliated, but recently registered with the Republican party in preparation for his campaign to unseat Steinberg. “I do think there are a lot of people in the state who are looking for some serious change. He’s a solid candidate and we hope he can appeal to the independents, who are the largest group here in town,” Bass said. Kraut, a partner in a real estate management and development firm, moved to Westport form Scarsdale in 2016 and won a spot on the Westport RTM for the first time last November. During the 2017 state budget crisis, Kraut said he grew concerned and began to look through the state’s financial books and formulate a plan. In January, Kraut released a plan for Connecticut’s economic future, which includes a detailed “three-year emergency recovery plan” for the state and more than 15 policy ideas. Westport’s other incumbent Lavielle, serving the 143rd District, hopes to win a fifth term and stave off newly declared Democratic challenger Stephanie Thomas. A former Fortune 500 executive, Lavielle is in her fourth term representing a district that includes most of Wilton, the eastern part of Norwalk, and the parts of Westport west of the Saugatuck River. Lavielle, a Wilton resident, serves as the assistant minority leader and the House ranking member of the General Assembly Education Committee, one of the Legislature’s largest join standing committees. She is also a member of the Finance, Revenue, and Bonding and Transportation committees and served on the Wilton Board of Finance prior to her election as state representative In 2010. Lavielle’s challenger, Stephanie Thomas, is the founder and owner of the New York-based Stewin Consulting firm, which provides fundraising and events expertise to nonprofits. Though she has never before held an elected position, Thomas has served as an active member of the Norwalk Democratic Town Committee since moving to the city a few years ago. 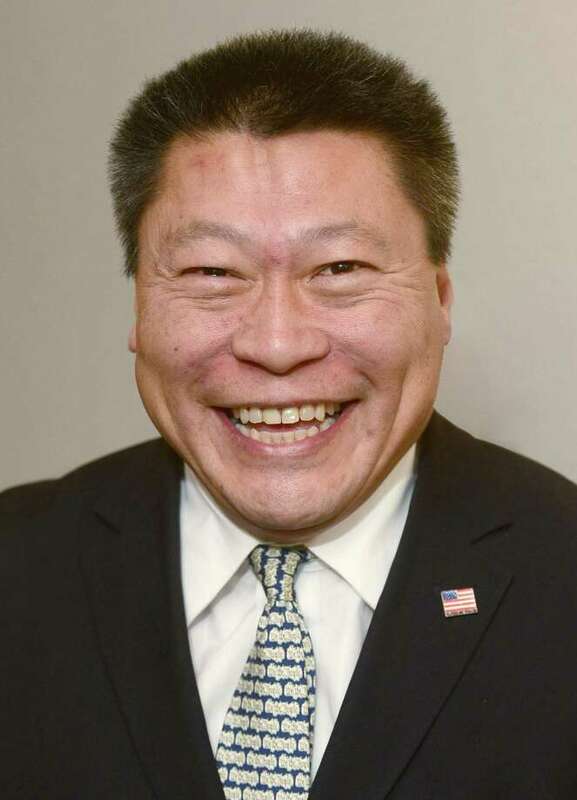 Hwang, a real estate agent, was first elected to the state Senate in 2015, becoming the first Asian-Pacific American state senator in Connecticut. Prior to that, he represented the 134th District for six years. Hwang got his start in politics in 2005 when he was elected to the Representative Town Meeting in Fairfield. He has a background in labor relations and organizational behavior, and is the ranking member of the Housing and Labor and Public Employees committees. His Democratic challenger to represent the 28th Senate District — which is made up of Fairfield, Westport, Easton, Newtown and Weston — is political newcomer Michelle Lapine McCabe. A policy advisor and director of the Center for Food Equity and Economic Development, McCabe has served on the Fairfield Library board of trustees and as PTA Council chairman. Another political newcomer is challenging a longtime incumbent Republican representative in the 26th state senate district, which consists of the entirety of Westport, Wilton, Ridgefield, and Redding, and parts of Bethel, New Canaan, and Weston. Will Haskell, a 21-year-old Georgetown University student slated to graduate in later this spring, is running as a Democrat against longtime politician and state Sen. Toni Boucher, R-26. Haskell graduated from Staples High School in 2014 and now lives in New Canaan. He worked for the Democratic National Committee and interned with Hillary for America and the Capitol Hill offices of Congressman Jim Himes and Senator Chris Murphy. Boucher, a Wilton resident, was elected to the state senate in 2009 after serving 12 years in the Connecticut House of Representative and Co-Chairs the Education and Transportation committees.